You have plenty of options for improving the look of your home's exterior, from a simple paint job to new siding. Fortunately, whichever route you choose, one company can help you get the results you want. As a well-known quip notes, “You never get a second chance to make a first impression.” The saying applies first and foremost to our relationships with others, but sure enough, it also applies to home exteriors. 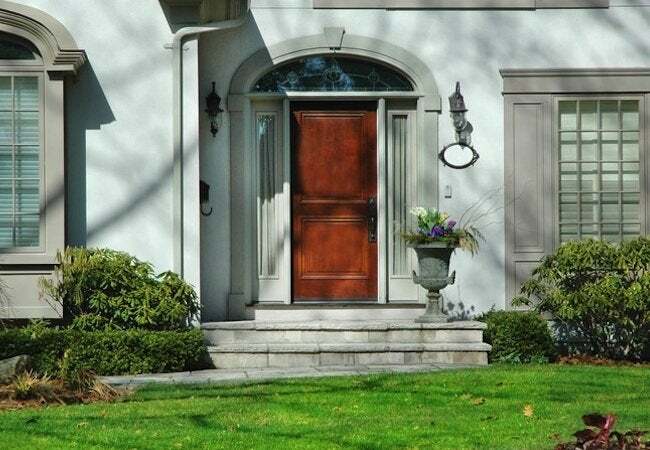 In the eyes of first-time visitors and anyone driving or walking by, the outward appearance of your home can communicate a great deal about who you are, including your personal style and your priorities in life. Are you dissatisfied with how your house looks from the curb? Don’t fret: You have a big range of options for giving your home the facelift it may sorely need. There’s no one-size-fits-all solution, however. The right choice depends on several factors, including the condition of your home and its geographical location. But ultimately, it all comes down to you and your specific goals for the project. For instance, if you’re concerned only with aesthetics, a fresh paint job may be the most satisfying approach, not to mention the most cost-effective. You may, however, wish not only to refresh your home’s appearance but also to improve its longevity and structural integrity. In this situation, installing new exterior siding could be the best way to go. A third option—particularly appealing if you’re tired of sky-high utility bills—would be to expand your efforts to include maximizing energy efficiency. Today, you can do so by selecting an advanced exterior coating that dramatically reduces solar heat gain. These coatings help you remain comfortable indoors, even while using (and paying for) less air conditioning. Best of all, these exterior coatings come in many colors, allowing you to upgrade both the curb appeal of your home and its performance. A highly ambitious homeowner-handyman might try doing it all on his own, but for the rest of us, there’s Sears Home Services. Managing the entire process from start to finish, Sears ensures professionalism throughout the project and, in the end, quality results. A nationwide service provider with a decades-long history, Sears backs its work with a Satisfaction Guarantee. So, regardless of which exterior update you choose for your home, getting it done with Sears means getting it done by experts, from a generations-old brand that you trust. Unsure of how best to achieve your goals? Sears can help with that too. To learn more about three common exterior improvements that homeowners like you undertake, we spoke to a product manager with the company, Jim Eldredge. Continue reading to benefit from his expert advice. Of course, painting a house entails much more than just brushes and rollers. Beautiful, enduring results come only as the result of a thorough, comprehensive process. 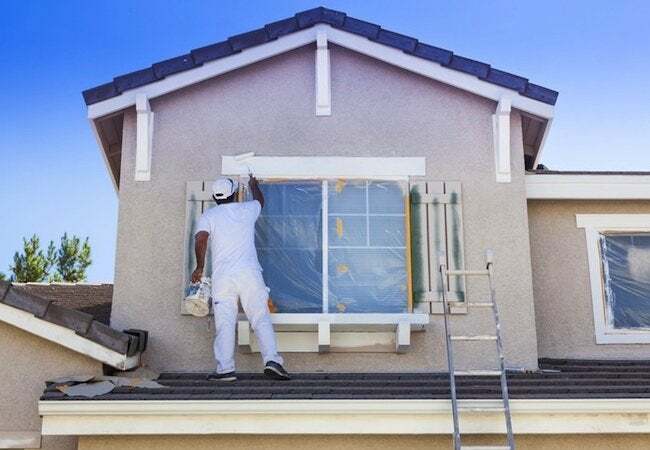 According to Eldredge, “the most important steps in painting don’t even involve paint.” On the contrary, a successful paint job hinges on careful preparation of the exterior surfaces. To that end, Sears Home Services “follows a rigorous 10-step method” exclusive to the company and its pros. The only downside? Paint doesn’t last forever. Even the best paint job requires upkeep. Plus, though a coat of paint may be powerful, it cannot repair the sort of deficiencies that leave a home vulnerable to moisture, pests, and the extensive, expensive problems such issues often create. Is your siding falling down on the job? Sears Home Services can help you assess its condition and offer guidance on how to proceed. 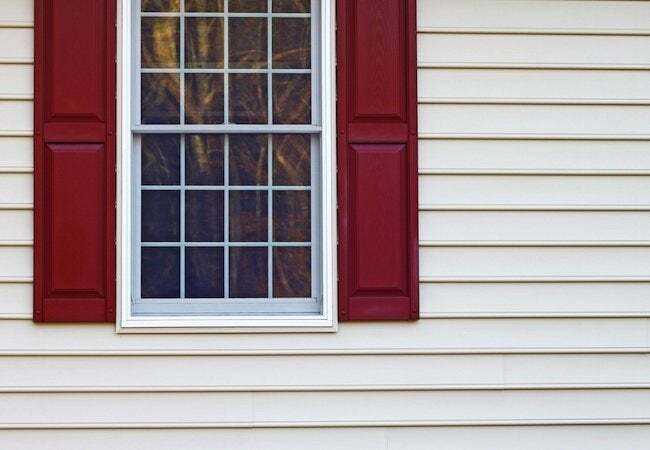 Should it be necessary to install new siding, there are many replacement materials to consider, but for the average homeowner, “it’s tough to beat vinyl,” Eldredge says. “If you want the look of wood, without all the maintenance, go with vinyl,” he concludes. Exclusive to Sears, the Weatherbeater line of vinyl siding includes three levels, each rated by Energy Star for efficiency. With certified pros carrying out the installation, you get the company’s trademark Satisfaction Guarantee as well as a limited lifetime product warranty. If it’s hot outside, it’s hot inside. That’s why air conditioning exists—to make indoor spaces comfortable, even in extreme heat. Comfort comes at a cost, though. If you’re sick of paying through the nose for summertime climate control, Sears Home Services offers a solution that can help. Known as the CoolWall system, it’s a heat-reflective coating for home exteriors, one that leverages a technology used by the military to lessen the heat signature of its vehicles. How does it work? CoolWall reduces the solar heat gain that would otherwise force your air conditioner to work harder to reach the target temperature. With CoolWall, your home remains, well, cool, so you don’t need to rely so heavily (and spend so much on) air conditioning. In appearance, CoolWall coatings “look a lot like paint,” says Jim Eldredge of Sears. “They come in a variety of colors,” he continues, “from Cape Cod Blue to Whisper Gray.” That means, in addition to helping lower your bills, CoolWall can give your house a new look. There’s no doubt more than one way to update your home exterior. But although numerous variables come into play, there’s one certainty: No matter what you think your home needs or how you wish to alter or improve it, one company can help you determine the best course and get the job done right: Sears Home Services.